The Pope announced his intention to name 24 new cardinals of the Holy Roman Church today. 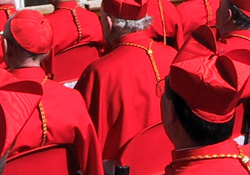 The public consistory is scheduled for November 20 and it is at this ceremony that the Holy Father’s intention becomes official, becoming members of the College of Cardinals. The new cardinals will have their names in inscribed in the list of “Roman priests” who are deputed to elect the Bishop of Rome. This is the third time the Holy Father has created cardinals since his becoming Pope in 2005. Previous consistories were in 2006 and 2007. The new cardinals reflect the various competences the Church relies upon to preach the Gospel and to serve the Church. 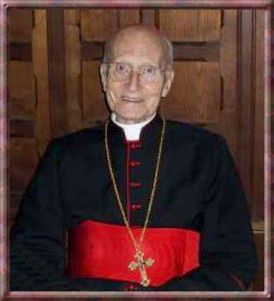 Paul Augustin Cardinal Mayer, OSB, died today just shy of his 99th birthday. He was the Church’s eldest Prince. Cardinal Mayer was born on 23 May 1911 and professed vows the Abbey of Metten on 17 May 1931; he was ordained a priest on 25 August 1935 and elected abbot of Metten on 3 November 1966. Mayer’s service to the Church universal began in 1971 when he was ordained a bishop by Pope Paul VI and named secretary for the Congregation for Religious and Secular Institutes. 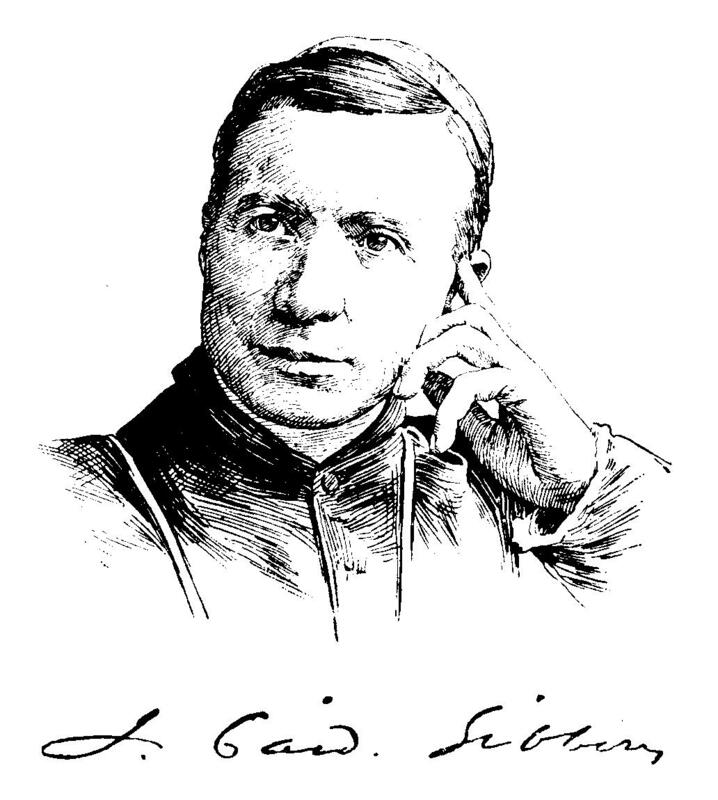 later he was Prefect of the Congregation for Divine Worship and then Ecclesia Dei. When made a cardinal by Pope John Paul II he was given the titular of Sant’Anselmo all’Aventino. Cardinal Mayer was a priest for 74.5 years; 38 years a bishop and 24 years a cardinal. “he leaves the indelible memory of an industrious life spent with mildness and rectitude in coherent adherence to his vocation as a monk and pastor, full of zeal for the Gospel and always faithful to the Church. While recalling his knowledgeable commitment in the field of the liturgy and in that of university and seminaries, and especially his much appreciated service to the Holy See, first in the preparatory commission for Vatican Council II then in various dicasteries of the Roman Curia, I raise fervent prayers that the Lord may welcome this worthy brother into eternal joy and peace. May Paul Augustin Cardinal Mayer’s memory be eternal! 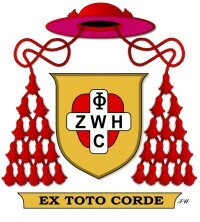 The staff of the Centro Aletti with faith in the life-giving power of the Lord’s Resurrection announced the death of Tomáš Cardinal Špidlík Friday, 16 April 2010 at 9 pm. 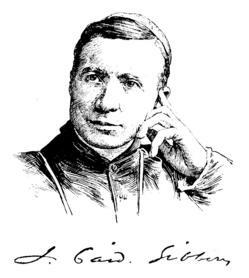 The In making their announcement the staff of the Centro Aletti expressed their gratitude to God for the Cardinal’s many years through his gift of paternity and wisdom. 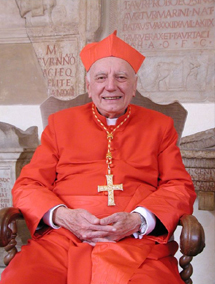 They ask that all of us to be united in prayer to accompany the Cardinal’s soul to his ultimate and definitive passage to eternal life. 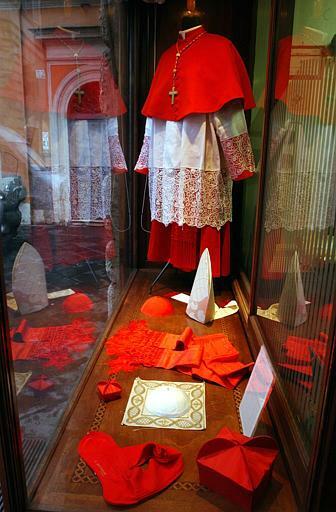 The Cardinal’s wake will be at the Centro Aletti until Monday, April 19. On Tuesday, April 20 the Mass of Christian Burial will take place at the Vatican Basilica at 11:30 am celebrated by Angelo Cardinal Sodano with the Holy Father concluding the Liturgy with a homily and the prayers of final commendation. By Thy resurrection from the dead, O Christ, death no longer has dominion over those who die in holiness. So, we beseech Thee, give rest to Thy servant Tomáš in Thy sanctuary and in Abraham’s bosom. Grant it to those, who from Adam until now have adored Thee with purity, to our fathers and mothers, to our kinsmen and friends, to all men who have lived by faith and passed on their road to Thee, by a thousand ways, and in all conditions, and make them worthy of the heavenly kingdom. “The pious demise of Cardinal Tomas Spidlik, distinguished Jesuit and zealous servant of the Gospel, has aroused deep commotion in my heart. It is with profound gratitude that I recall his solid faith, his paternal affability and his intense cultural and ecclesial labours, especially as an authoritative expert on Eastern Christian spirituality. I raise fervent prayers to the Lord that, by the intercession of the Most Holy Virgin and St. Ignatius of Loyola, He may give the deceased cardinal the eternal prize promised to His faithful disciples. And to you, to the Society of Jesus, and to everyone who knew him and appreciated his gifts of mind and heart, I send a heartfelt and comforting apostolic blessing. We give thanks to the Lord for blessing us with this wise and holy priest and cardinal! At the moment there are 112 cardinal electors should we have to elect a new pope. The papally imposed number of 120 is usually enshrined in our minds but we can conceivably have more (or fewer) should a reigning pontiff decide the matter. Pope John Paul II confirmed certain norms in a document Universi Dominici Gregis in 1996. Nevertheless, in 2010, 11 cardinals of the Holy Roman Church will lose their ability to vote in a papal conclave because they will turn 80. Their Eminences, Cardinals Ambrozic, Maida, Williams, Herranz, McCarrick, Poupard, DiGiorgio, Daoud, Giordano, Tumi, Pujats. You’ll notice that 2 are from the USA and 1 from Canada. Pope Benedict has already had two consistories (2006 & 2007) making 38 cardinals. Mind you, some were ineligible to vote in a conclave from the first day of the cardinalate. So, it is very likely that the Holy Father could create new cardinals in 2010. Regarding bishops, at the moment there are, in 2010, 11 bishops submitting a letter of resignation to the Holy Father because they’re 75, there are 4 who turned 75 in 2009 (and no replace nominated yet) and there remain 6 empty dioceses. If no one dies or gets into trouble, the USA could see 21 new bishops. Of the many things the Cardinal arranged for the possession by the Benedictines of Caldwell Place, Gaston County, North Carolina, on which Mary, Help of Christians – Belmont Abbey sits. He also ordained Abbot Leo Michael Haid, a bishop and arranged for him to be the vicar apostolic of North Carolina. Haid prayed one of the absolutions for the Cardinal at his funeral. The monks of Belmont Abbey remembered the Cardinal at Mass.